Hot on the heels of Northumberland winning Best UK Holiday Destination at the 2018 British Travel Awards, comes the news the Amble has seen the biggest surge in demand for accommodation by UK holidaymakers. We all know how important tourism is to Amble these days. And we shouldn’t assume this is something that is foisted on us from outside decisionmakers, like the county council or faceless agencies. Many locals are making a living – or at the very least augmenting their income by offering holiday accommodation. The briefest of glances at AirBnB, shows there are 131 properties available as holiday lets in Amble. 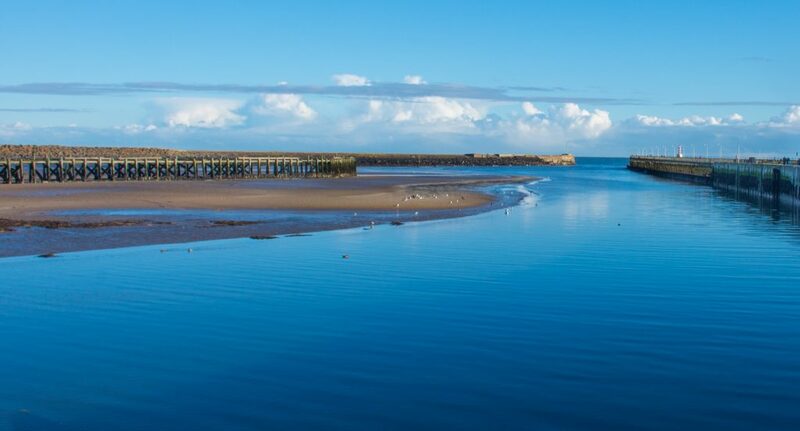 A recent survey by holiday travel lettings agency HomeAway noted that Amble has seen the biggest shift in demand by UK holidaymakers. The statistics from this global company saw that demand for holiday accommodation in the Friendliest Port had increased by 207% in 2018, with £30 being the average price paid per person per night. (This was a price drop of -3% on the previous year). We asked local holiday lettings agency Coquet Cottages, based in Warkworth, what they thought about the news. Stephanie Ringland, Client Services Director for Coquet Cottages told us: “Hearing these statistics about a town we have loved for so long is very warming. “The last few years have been a real turning point for Amble and the harbour is now a real tourism destination. “The boost in tourism has clearly had a positive impact as more investments are made in the town and more improvements are surfacing. 2 thoughts on "Everybody’s turning to Amble"
I totally agree..Its a most beautiful part of Northumberland and I have been staying at Bay View a couple of times. Hoping to return in September and April 2020. A warming thought, yet no love from this rag for those trying to make this jewel of the Northumberland coast our home. We have had nothing but love from any person we meet and engage with in the town. This rags vitriolic opposition of development hangs over our attempts to relocate to the town after almost 30 years military service because we chose to buy a new build. The double standard implicit in promoting an article saying people are coming to visit but eschewing those who want to buy a property to live in is nothing short of ludicrous. The bloke who drinks in the local pubs, shops in Queen Street and hasnt taken up any appointments at the doctors.